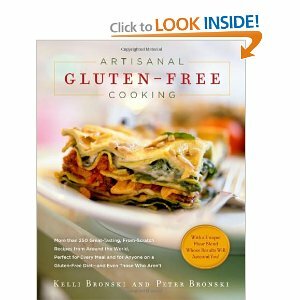 As we enter into our second week of Home for the Holidays … Gluten-Free Style, we have Melissa of Gluten Free For Good hosting for Day 8. She’s sharing the first non-sweet recipe of the event. As much as you all have been enjoying the sweet treats, I know you won’t be disappointed by Melissa’s Red Chile Enchiladas (Casserole Style). 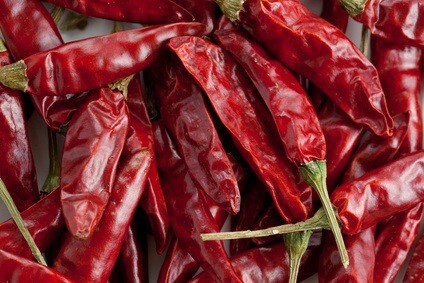 I think you’ll agree that Red Chiles are a beautiful thing. More importantly, they add amazing flavor and nutrition to dishes. I love Melissa’s recipe as well as her description of the holidays at her home in Colorado. I wrote about Wheat Belly briefly here and Artisanal Gluten-Free Cooking more in depth here. Like Melissa, I recommend them both. Head over to Melissa’s to get her Enchiladas recipe and to enter the giveaway for a copy of either book. If you missed it, you can see the winners of the giveaways from our first six days here. Our event continues until through December 23, so we’re only at the beginning. You can see all the blogs participating and the list of prizes here. (Note that some additional prizes have been added since the initial announcement.) Be sure to follow along each day to get great recipes and chances for truly helpful prizes—ones that we feel are especially valuable to the gluten-free community. We are so thankful to our many sponsors for sharing these prizes with you! Every single entry throughout the event also qualifies readers for the grand prize, the Vitamix 5200 Super Healthy Lifestyle package, or the second and third prizes, a $150 shopping spree at the world’s largest gluten-free store, FreeFromGluten.com, and a gift package ($89 value) from Caveman Cookies, respectively. Tomorrow, be sure to visit Cook IT Allergy Free to find out what Kim Maes has made for us all to enjoy. Plus, you’ll want to see what’s in her giveaway bin! 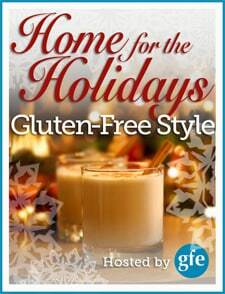 « Home for the Holidays … Gluten-Free Style: Week One Giveaway Winners! Peace, love, and lots of giveaways! Hi Melissa–You’re welcome, dear, but thank you for your great post and constant sharing of all the posts on the interwebs! 🙂 I do think it’s been a phenomenal event … I look forward to each day. 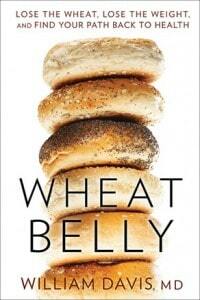 I already own Artisanal Gluten Free Cooking, but would love to win Wheat Belly. Thanks for the great recipes. Hi Karin–You’re welcome on the recipes. We have an amazing group of folks sharing them. 🙂 Thanks so much for following our event!